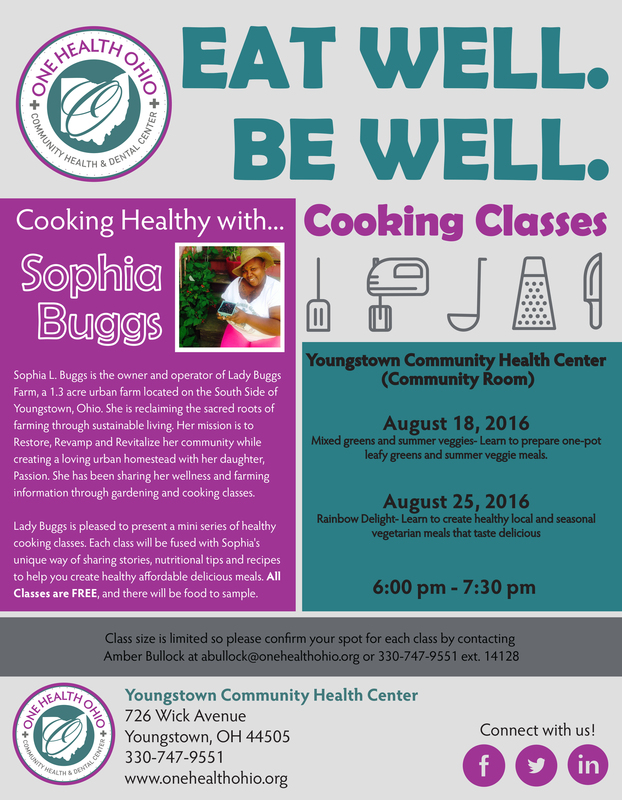 ONE Health Ohio is excited to announce that Sophia Buggs, Owner of Lady Buggs Farm, will be hosting two EAT WELL. BE WELL. cooking classes in August. The cooking series will be held at the Youngstown Community Health Center (726 Wick Ave., Youngstown, OH 44505) on August 18 and August 25 from 6 pm – 7:30pm. The classes are FREE to anyone who would like to attend. Class size is limited, so please reserve your spot as soon as possible. RSVP information is included on the flyer below.